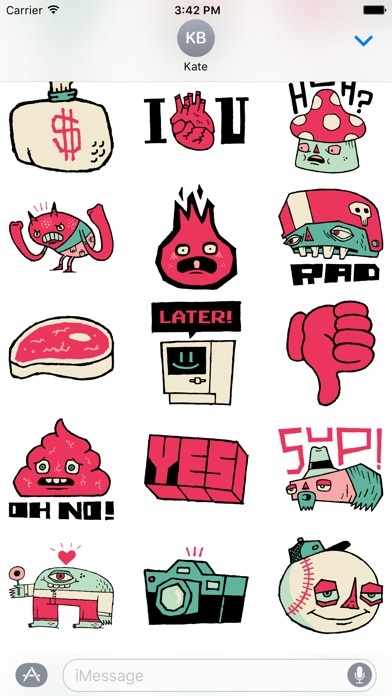 Use these 45 hand-drawn stickers from artist Rik Catlow (rikcat) to add panache to your messages. 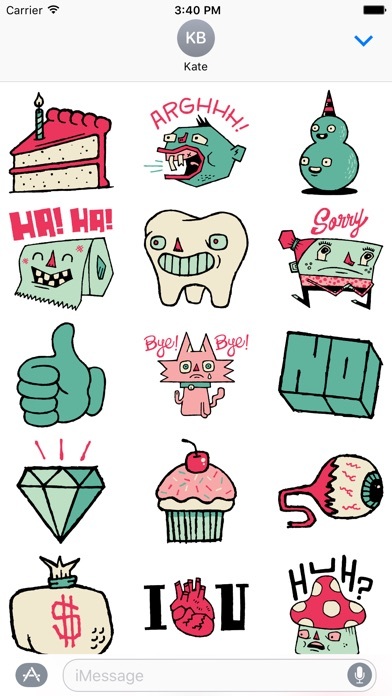 A combination of emotive icons, text expressions and objects that will make your communications fun. Thanks for supporting an independent artist. Have a blast! 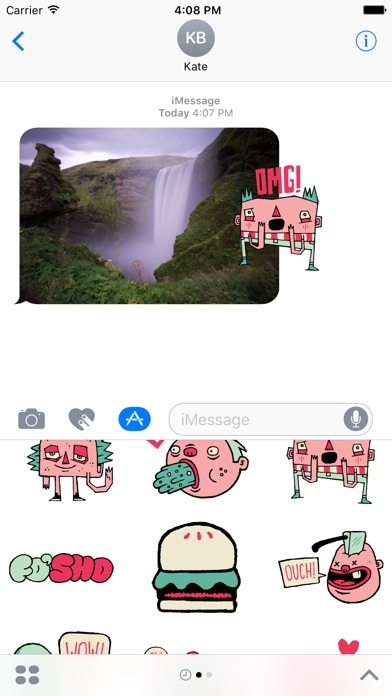 Most original sticker pack. So fun. 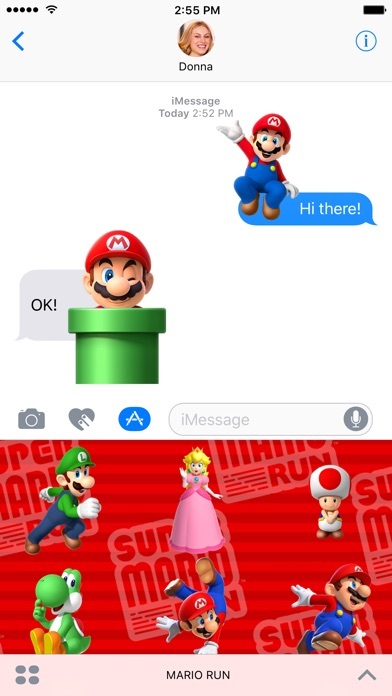 Great artist, great emojis, lots of fun using them on unsuspecting friends. 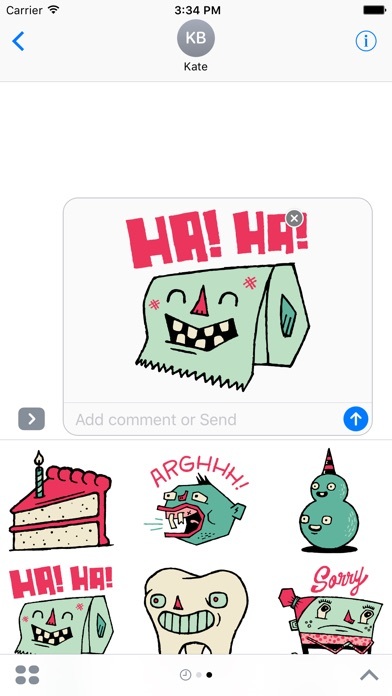 Add some style to your messages by grabbing this well designed sticker pack. Fun and functional. 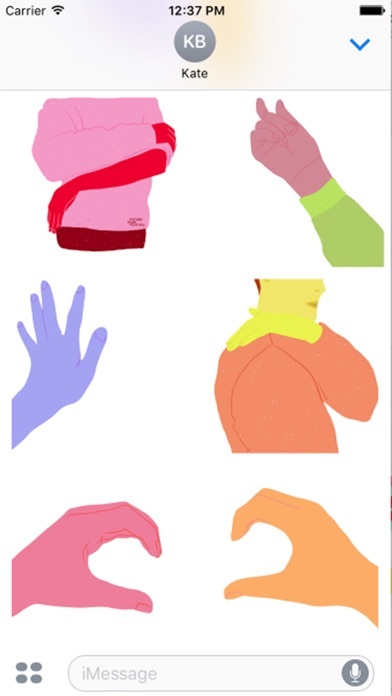 I use 'em all the time. 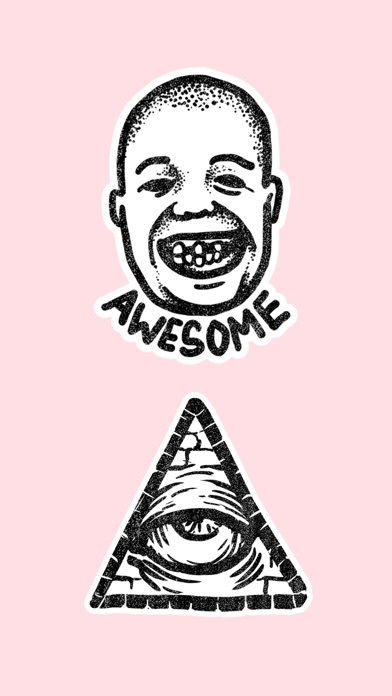 Loving these stickers. 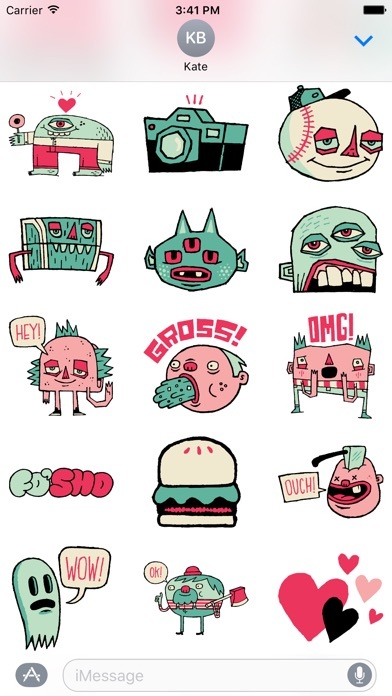 Rik Catlow is one of the first top-tier illustrators using this platform, but there will be a lot more to come.